Thank you for the CRV that I ordered from your CardealPage. I've received the unit and it is exactly how it looks on the web page just within three weeks. This gives me an impression that CardealPage is simply the best in terms of competency and reliability. 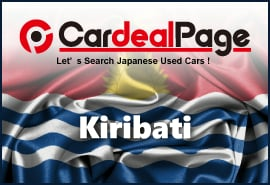 Please keep it up CardealPage and I look forward to do business again with you in future. I personally would like to thank you Osada for your constant support throughout the purchase which ends a success. Thank you again and God bless you and your endeavours. I give you 5 out 5 points and 2 thumps up!! Thank you so much for your kind words! Please come back to CardealPage again. 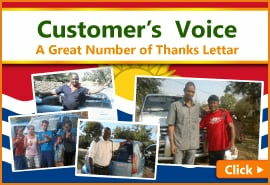 We will provide you with the same high-quality vehicle as well as second-to-none customer service. We look forward hearing form you!